With more than 10,000 contracts - equating to around AUS $1 billion - being traded every day in Australia, trading futures contracts on the ?PI? (Share Price Index) is big business. 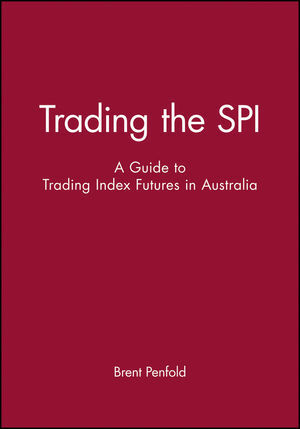 In Trading the SPI: A Guide to Trading Index Futures in Australia, Brent Penfold begins by providing the perfect introduction for would-be futures traders looking to explore new opportunities for leverage. This book is not just for beginners, however - it goes on to explore how to develop a comprehensive trading plan, offering many valuable hints and words of wisdom. Brent shares the knowledge gained from more than 20 years?experience in trading, as he discusses: * preparation and trading styles * money management, methodology and psychology * risk, reward, support, resistance and the triple reversal point * discretionary and mechanical trading techniques. Brent Penfold is a full time trader, author, educator and licensed advisor. He began his career in 1983 as an institutional dealer with Bank America and today specializes in trading forex and global indices.